A look at all of the weapons available to Counselors in Friday the 13th: The Game. In Friday the 13th: The Game, there are a variety of weapons available to all camp Counselors that can be used for self-defense purposes. While Jason Voorhees is undoubtedly OP and impossible to kill, there are ways to break free from his grasp, and use weapons to temporarily stun and disorient him in order to make a quick escape. 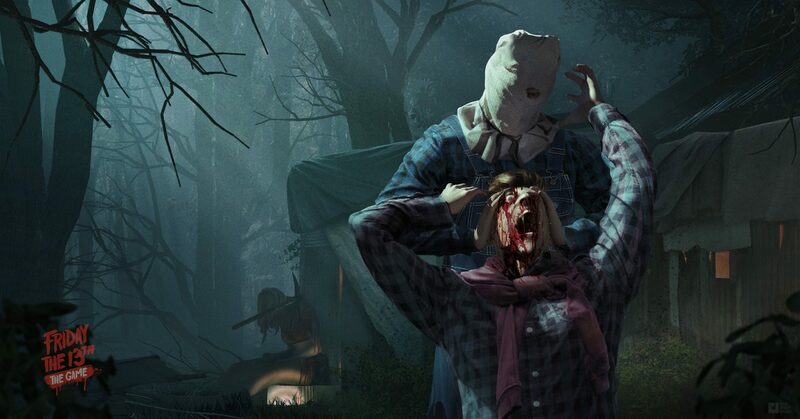 In this guide, we’ll go over the various weapons available to Counselors in Friday the 13th: The Game, and how to use them. The Wrench is a pretty common weapon in Friday the 13th: The Game. Among the common weapons you come across in Friday the 13th: The Game is the Wrench. The Wrench is a medium weapon that can knock Jason back and inflict a mild stun, though we recommend running if you see Jason rather than trying to take a swing at him. You can typically find the Wrench resting on a shelf or table inside the game's various cabins. The Wrench is good when working in teams, as you can potentially save your teammate should they get snatched up by Jason. Simply take your Wrench and swing it at Jason’s back. If done correctly, Jason should drop the counselor giving them the chance to run away. After doing so, you should also flee as the Wrench won’t save you from death at the hands of Jason in Friday the 13th: The Game. The Machete is one of the fastest weapons in Friday the 13th: The Game. The Machete is a light weapon with a lightning fast swing in Friday the 13th: The Game. You can find a Machete in many of the cabins, usually resting on a shelf or a table. Alternatively, you can also stumble across a Machete outside at times as well. The Machete is convenient for dire scenarios where Jason teleports behind you and you have only moments to react. In this instance, a Machete can be the difference between getting grabbed by Jason, and quickly swinging your Machete to briefly knock him back. In doing so, you can give yourself a bit more leeway to run from Jason. Unfortunately, the Machete has an extremely low stun rate despite its high Durability and Damage ratios. 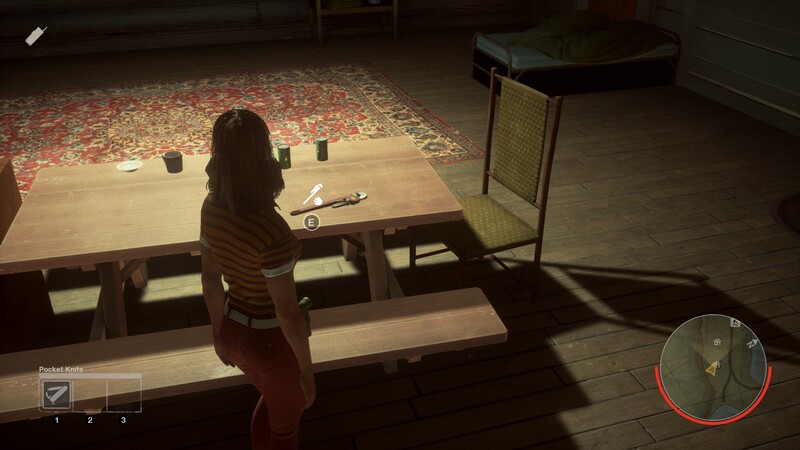 Because of this, you’ll want to utilize the Machete only when explicitly needed and swap it for a better weapon if possible in Friday the 13th: The Game. Although slow, the Hatchet is one of the best weapons in Friday the 13th: The Game. One of the rarer weapons in Friday the 13th: The Game is the Hatchet. You can typically find the Hatchet outside in the barn, or inside some of the cabins resting up against the wall. The Hatchet is a heavy weapon with an extremely slow swing that offers an average stun and one of the highest Damage ratings in the game. Unlike the Shotgun, though, you can use the Hatchet more than once. Again, the Hatchet has one of the slowest swings out of all the weapons in Friday the 13th: The Game, so you’ll want to put some distance between you and Jason when taking a swing. This is because should Jason pick you up, and should you find yourself unable to break free, you’ll almost certainly die. Nevertheless, the Hatchet is one of the better weapons you can find in Friday the 13th: The Game along with the Shotgun and the Machete. 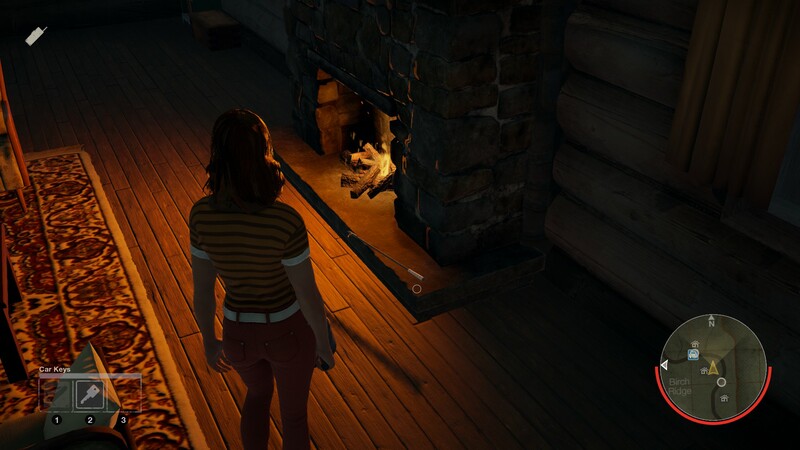 An easy place to find the Fire Poker is next to a fireplace in Friday the 13th: The Game. 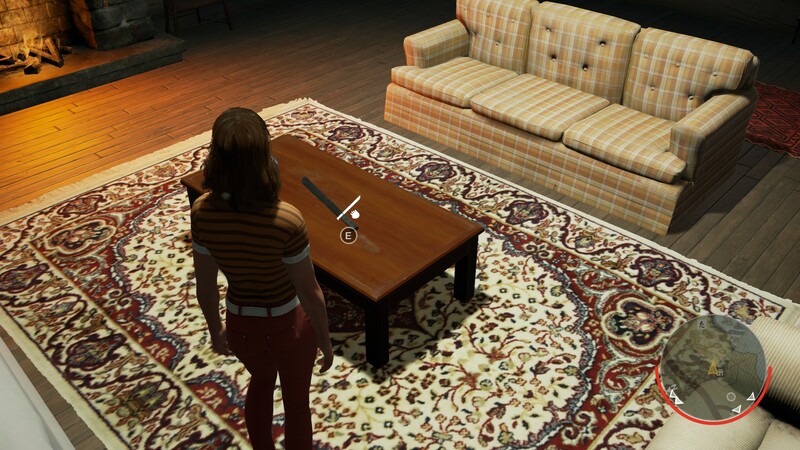 The Fire Poker is a small weapon that can be hard to spot in Friday the 13th: The Game. As you might have already guessed, one of the best places to find a Fire Poker is beside a fireplace. However, the Fire Poker can be found in other cabin areas as well. The Fire Poker is similar to the Machete in that it boasts an extremely fast swing. Unlike the Machete, the Fire Poker deals less of a stun, and is overall less favorable than the Machete. When choosing between the two, we recommend the Machete by far. Again, if you're unarmed and the Fire Poker is your only option, you're definitely better off having a weapon equipped. As you explore the map, you'll want to swap the Fire Poker out with one of Friday the 13th: The Game's heftier weapons, like a Wrench or Metal Pipe. 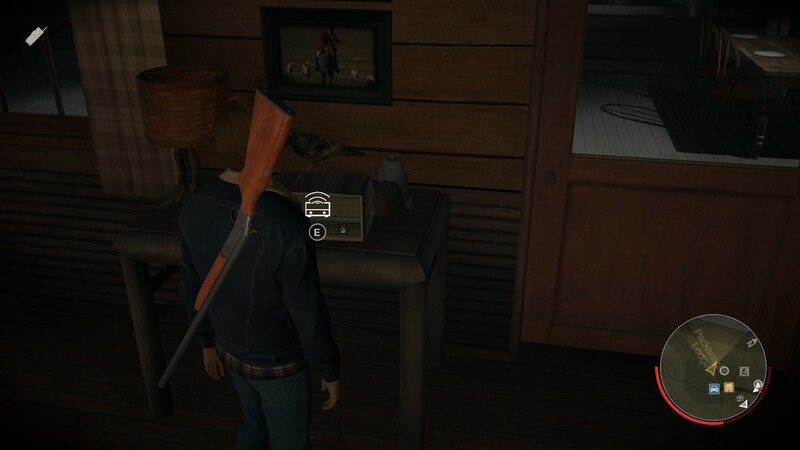 If you call in Tommy Jarvis, he comes pre-equipped with a Shotgun in Friday the 13th: The Game. In Friday the 13th: The Game, one of the best weapons is definitely the Shotgun. If you call in help from characters like Tommy Jarvis, you’ll find he comes pre-equipped with a Shotgun from the get-go. However, you can also find Shotguns scattered throughout the map. They’re rare, but they’re definitely worth picking up if you come across one. During our time in the game, we noticed that we typically find Shotguns inside the cabins, usually around the main hub areas where you find the two broken cars. With a Shotgun, you can shoot and stun Jason, thus giving you the chance to get away. Note that a Shotgun only has one shot, meaning that after you take your shot, you’ll drop the Shotgun and it will become useless to you. Because of this, you’ll want to save your shot for times when you really need it. To fire the Shotgun, you’ll want to use the right mouse button (on PC) to aim, then the left mouse button to shoot. Try to put some distance between you and Jason in this instance, as you’ll want to have enough room to flee after you shoot and stun him in Friday the 13th: The Game. The Baseball Bat has one of the best stuns in Friday the 13th: The Game. The Baseball Bat is another heavy weapon with a slow swing in Friday the 13th: The Game that feels akin to the Hatchet. You’ll often find the Baseball Bat inside the cabins, usually on a shelf or table. However, unlike the Hatchet, the Baseball Bat deals a far more effective stun to Jason. Because of this, you should pick up a Baseball Bat or Shotgun over a Hatchet given the opportunity. In fact, the Baseball Bat is arguably one of the best weapons when it comes to stunning Jason, as you can see reflected in the image above. Unfortunately, the Baseball Bat can be a hard weapon to find in comparison to other weapons in the game. After grabbing a Baseball Bat, remember to take note of its slow swing, and use it only when necessary in Friday the 13th: The Game. As you can see, the Tree Branch deals one of the most effective stuns aside from the Baseball Bat in Friday the 13th: The Game. The Tree Branch is a heavy weapon in Friday the 13th: The Game that feels similar to the Hatchet. As you might have already guessed, one of the best places to find a Tree Branch is out in the woods surrounding the cabins. During our time with the game, we have yet to stumble across a Tree Branch out in the open. This is to be expected, as you'll find yourself spending most of your time inside the cabins searching for supplies to repair one of the two broken cars, all while hiding from Jason. When you're out in the open, you're vulnerable to attacks, as Jason can pretty much teleport anywhere on the map with the exception of inside cabins. If you're unarmed, the Tree Branch can be a valuable weapon to have, as it deals a hefty stun to Jason. Keep in mind, though, that the Tree Branch has one of the slowest swings in the game. As such, you're better off fleeing from Jason rather than using the Tree Branch to make a stand in Friday the 13th: The Game. The Wooden Plank is a semi-common weapon in Friday the 13th: The Game. You can find a Wooden Plank atop picnic tables, and in general, lying around out in the open both indoors and outdoors. Despite its outward appearance, the Wooden Plank is actually more efficient than a Metal Pipe or Hatchet when it comes to dealing stuns. Additionally, the Wooden Plank is marginally faster than a heavy item like a Tree Branch, though it's still somewhat slow. The main detractors of the Wooden Plank are its low Damage and Durability. Nevertheless, it’s still better to arm yourself with a weapon like the Wooden Plank and be prepared in Friday the 13th: The Game. 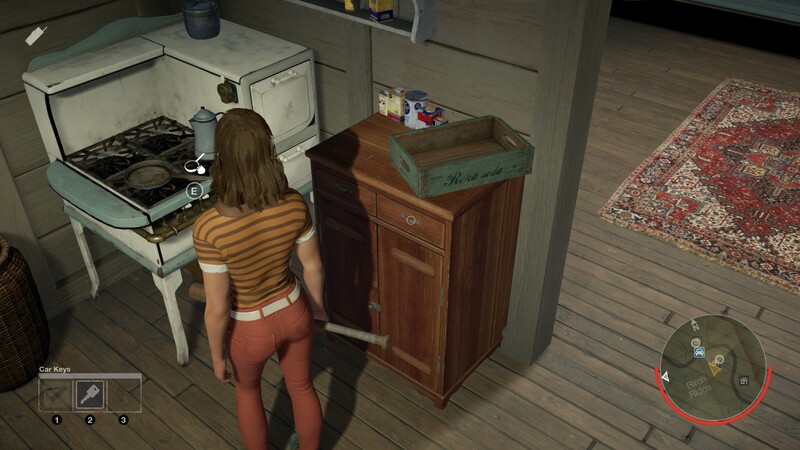 You can find the Frying Pan on top of stoves in Friday the 13th: The Game. The Frying Pan is another common weapon in Friday the 13th: The Game that's similar in nature to the Cooking Pot. 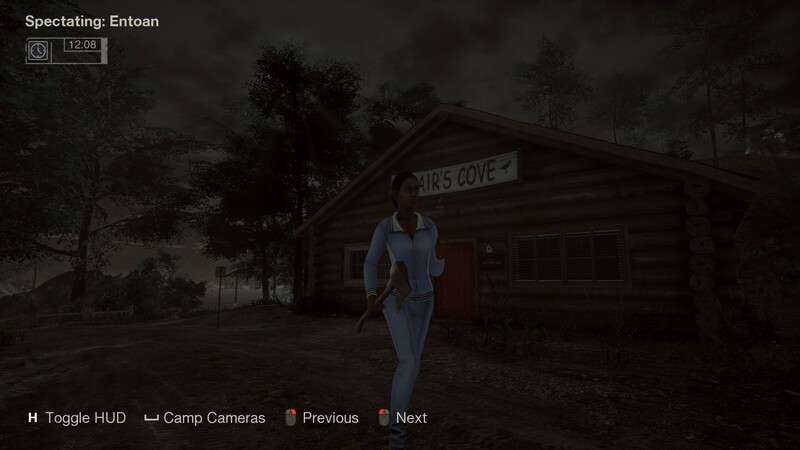 The Frying Pan can be found inside the various cabins littered throughout the map, and is a decent, mid-range weapon. Unlike the Cooking Pot, the Frying Pan has a slightly quicker swing at the expense of a slightly lower stun rate than the Cooking Pot. You'll find more Frying Pans than Cooking Pots in Friday the 13th: The Game, and compared with items like a Fire Poker, the Frying Pan can be a useful weapon to have equipped. Like we've mentioned numerous times throughout the article, use the Frying Pan only when needed in Friday the 13th: The Game. The Cooking Pot differs slightly from the Frying Pan in Friday the 13th: The Game. The Cooking Pot is a weapon that's a little less common than the Frying Pan in Friday the 13th: The Game. 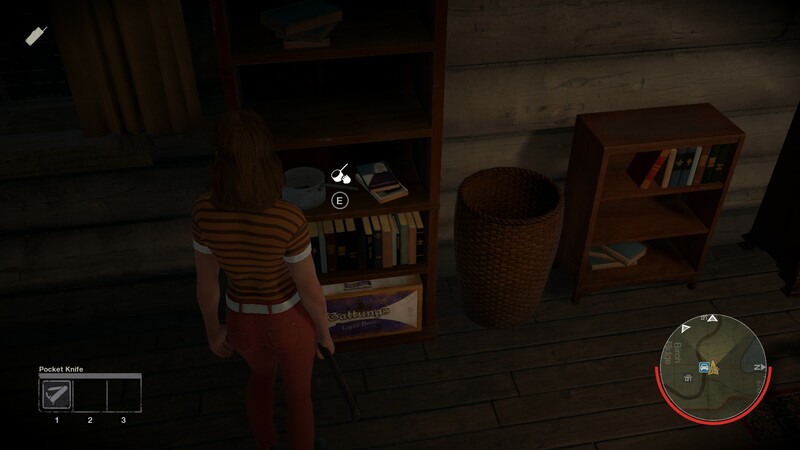 You can find the Cooking Pot in the same areas you'd normally find a Frying Pan (inside the various cabins), although we've noticed in our time with the game that you come across the Frying Pan more often. What's the different between the Cooking Pot and the Frying Pan? Well, first and foremost the shape of the Cooking Pot is obviously different, making it slightly heavier. Because of its weight, the Cooking Pot deals more effective stuns than the Frying Pan, though the two are nearly identical in most aspects. When choosing between the two, the Cooking Pot is arguably the better option. However, if you're looking for a weapon with a quicker swing, the Frying Pan is better for quick strikes against Jason while fleeing. If you're playing on a team and looking to potentially save a friend who's been captured by Jason, a good swing with the Cooking Pot should be enough to get Jason to drop your friend. 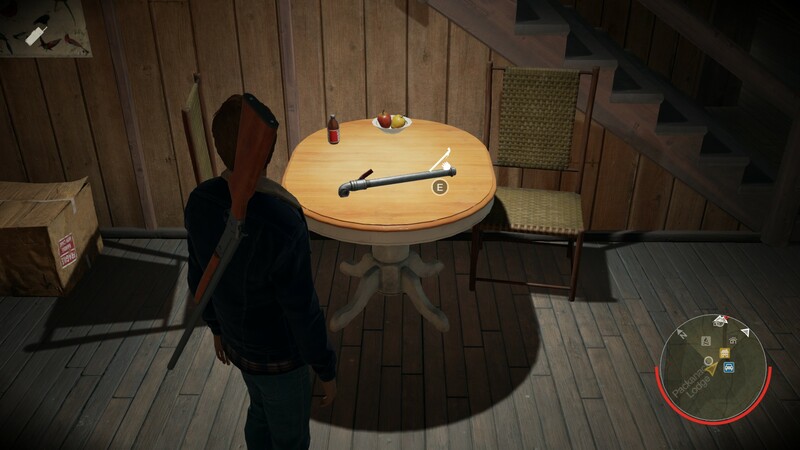 Another common weapon in Friday the 13th: The Game is the Metal Pipe. Another common weapon in Friday the 13th: The Game is the Metal Pipe. 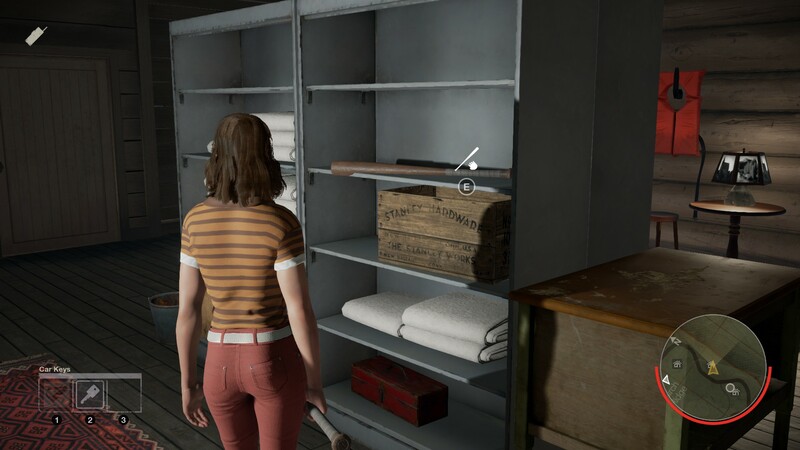 You can find the Metal Pipe throughout the map, though most often inside the cabins on a shelf. The Metal Pipe is another medium weapon that can deal a mid-range stun to Jason should you encounter him. Aside from its average stun, the Metal Pipe has great Durability and is typically a useful weapon when needed. We recommend replacing the Metal Pipe with a weapon with a higher stun rate, like the Baseball Bat or Wrench, as you can often find these weapons in the same area you picked up the Metal Pipe. Finally, keep in mind that you should only take a swing at Jason with the Metal Pipe when explicitly necessary. Having a weapon can be the differene between survival and death in Friday the 13th: The Game. Be sure to check back with us here at Indie Obscura, as we’ll be updating this weapons guide with additional info and weapons as we uncover them in Friday the 13th: The Game. 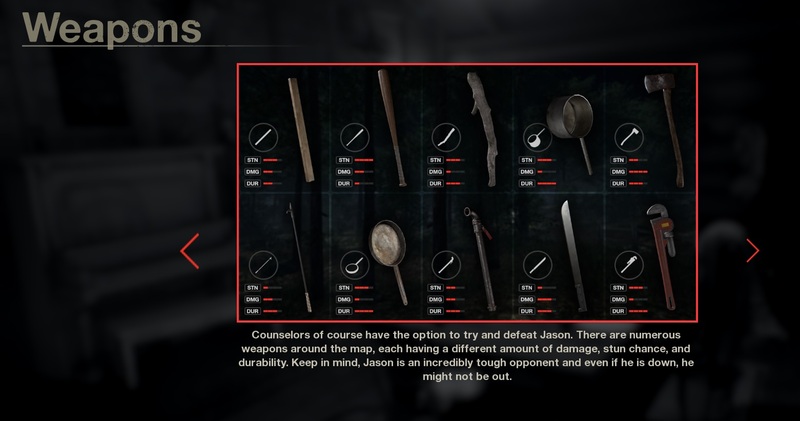 As stated throughout this guide, weapons can be extremely helpful when it comes to avoiding certain death at the hands of Jason. However, it’s important to remember that Jason cannot be harmed or killed, so don’t go trying to 1v1 Jason using any of the weapons you find in Friday the 13th: The Game. By reading through this guide, you should now know all of the weapons available to you in Friday the 13th: The Game and how to use them.